ŚrīVaiṣṇavam for Newcomers – Who is Rāmānuja? This article is part of the newcomer series, a set of brief articles which give an outline of our sampradaya for people with no previous exposure to our tradition. Rāmānuja (Rāmānujāchārya) is a pivotal Āchārya (teacher) in our tradition. He war born in the year 1017 in Sriperumbudur, a town near Chennai (formerly Madras), south India. He was at the same time a first-class philosopher and theologian who dominated the intellectual landscape of his time, a very humble devotee of God and a devoted servant of his godbrothers and sisters as well as humanity as a whole. Rāmānuja fought excesses of the caste system by allowing people of all castes and groups into temples and was open to accepting them as his disciples – more than 950 years ago. He implemented a strong sense of mutual respect and service amongst his followers, which crosses all boundaries of society and is very much alive until today. Rāmānuja corrected misinterpretations of the Vedic literature and proved that every letter of Veda is authentic and authoritative, there no need to create secondary meanings in order to solve seeming contradictions. This was common practice before him. The philosopher Shankara (Śankarāchārya), who lived about 150 years before Rāmānuja, had classified the Veda into significant and less significant parts, claiming that some verses mean something very different from what they say in the Word. This was based on very complicated grammatical arguments, which were however widely accepted by intellectuals before Rāmānuja. The correction was made possible by Rāmānuja’s refinement and systematization of the Vishishtadvaita philosophy. Our tradition and academic researchers agree that Vishishtadvaita existed long before Rāmānuja, but in a less organized form. Vishishtadvaita perfectly reconciles the testimony of an impersonal-monistic God with the testimony of a personal-dualistic God we both find in the Veda. In spite of his great merit, Rāmānuja is hardly known to the western world in general and is unknown even to most sincere spiritual seekers in the western world. This is in stark contrast to the interest of the indological research. Amongst others, the Austrian Academy of Sciences has issued a seven volume series of academic books centered around Rāmānuja and his tradition. Academic research has clearly shown that Rāmānuja’s philosophical / theological work is of the highest intellectual quality and has been an important factor in shaping the debates of Indian scholars over the centuries. One can imagine Rāmānuja’s position in the Indian intellectual history as a pivot, maybe similar to Kant in the European intellectual history. He has laid the intellectual foundations for the so called Bhakti movement, which proposed a very personal, intimate and relatively informal relation to God. Note that the direct followers of Rāmānuja do not see themselves as Bhaktas (people practicing Bhakti). The Bhakti movement was a major factor that shaped modern Hinduism, it produced dozens of offshoots over the centuries all over India. The Hare Krishna movement is probably the most prominent Bhakti group in the west. But in contrast to European philosophers like Kant, Rāmānuja was an Āchārya, i.e. a teacher who lived what he taught at the highest standards. For while in our modern culture it is quite conceivable that someone holds lectures on ethics and at the same time deceives his wife, this would be inconceivable for an Āchārya. Thus, Rāmānuja is an embodiment of perfection, somebody who was perfected not only in his intellect but also in all aspects of his practice. In today’s time, when so many people are spiritually searching and sadly so often filled with spiritual junk food or barely digestible fragments, perhaps even deceived or exploited, the living tradition of Rāmānuja represents a lighthouse in the fog of commerce and confusion. Rāmānuja and his successors pursue philosophy and theology at the highest intellectual level, at the same time living practice, both spiritually and in social cohesion. They are willing to hand down invaluable treasures of knowledge and practice to everybody who sincerely seeks to be a follower of Rāmānuja. This entry was posted in Beginner's guide, FAQ, No previous knowledge on April 29, 2018 by Madhavan. Our philosophy is called Vishishtadvaitam, which is commonly translated as “qualified monism”. In the testimony of the Veda and more generally in the testimony of true mystics and seers of all religions, we find both the experience of unity with God, one-ness, and the experience of duality, other-ness, in relation to God. These seemingly contradictory testimonies have been a source of long standing debate within the Vedic tradition and too often violent persecution of “heresy” in the Abrahamic religions. Over the millennia, there have been many attempts to reconcile the two testimonies within the Vedic tradition. Unfortunately, many treatises which could shed light on the development of thought on these issues have been lost during the Muslim invasion of India, where many universities and libraries were destroyed. From the few sources that survived the destruction, we can infer that India had a very rich spiritual landscape in the first millennium C.E., with many teachers and traditions of thinking that were in constant debate and exchange of ideas. Rāmānuja made his first appearance in this landscape with a text named Vedārtha Saṅgrahaḥ, which means “Summary of the meaning of Vedas”. The text debates the standpoints of rival schools of thinking in a very sophisticated way and, by doing this, gives a precise description of Vishishtadvaitam philosophy. The starting point of Rāmānuja and his contemporaries is a very interesting philosophical problem: All scriptures state that God has infinite perfections. But the world we see is not perfect. So how does it relate to God? Philosophers before Rāmānuja have solved this problem either with the philosophy of Advaitam (non duality) or early variants of the Dvaitam (duality) philosphoy. The Advaitam philosophers argued that God is a monolithic entity of knowledge and perfection, but his perfection is covered by ignorance. The goal of spiritual seekers is thus to remove this ignorance in order to see that they are this monolithic entity, that they are non different from God. Dvaitam philosophers argued that the world and the living entities are strictly distinct from God, so their imperfections are nothing surprising. Rāmānuja points out several logical inconsistencies in Advaitam philosophy, amongst others the issue that this ignorance must then be stronger than God’s perfection and knowledge, i.e. the most powerful entity in reality is not God but ignorance. If this would be really what Advaitam means, it would be both conflicting with many statements in the Veda and would produce a myriad of logical problems – like, if ignorance is so strong, how can a simple human being break it by gaining knowledge? But also the early forms of Dvaitam were criticised by Rāmānuja as this philosophy implies irreconcilable logical problems if one also accepts God omnipresence and omniscience – which is emphasized by the Vedic scriptures. Vishishtadvaitam solves the philosophical problem with the argument that God has modifications. These modifications are matter and spiritual entities, i.e the individual souls. Modification is meant in a grammatical sense. In Sanskrit, the standard language for philosophical research and debate in India for millennia, words are constructed from a root that is modified. With these modifications, a single root can create a vast number of different words and meanings. In the same way, God is the root and with modifications, he constitutes the vastness and diversity of the world as we perceive it. The problem with this analogy from Sanskrit grammar is that, even though it is the most perfect, it is not entirely accessible to the common man of modern days. A modern but less perfect analogy is that of a computer: A computer can run a near infinite variety of computer programs. While each program seems distinct and can create certain pictures and sounds on the machine, all programs have a common base, which is the operating system in combination with the physical machine. So our relation to God is roughly comparable to the relation a computer program has to the operating system plus physical machine. We are in a certain sense distinct from God, as a computer program is distinct from the operating system and the machine, but in another sense also not distinct and totally dependent on God, as a computer program can only exist and function if operating system and machine are present. This analogy even helps to understand the role of an Āchārya. The operating system and the components of the machine offer various tools and interfaces to access its possibilities. Similarly, God’s grace and power can be accessed trough an Āchārya. The philosophy of Vishishtadvaitam is thus perfectly able to reconcile the conflict between the two testimonies we mentioned in the beginning. Rāmānuja explained that the relation of the soul (jīvāthmā) to God is similar to the relation our body has to the jīvāthmā. So the innermost core of our jīvāthmā, our existence, is none other than God, which can produce the mystical experience of oneness. On the other hand, a jīvāthmā has “layers”, which are modifications and thus distinct from God. Chit – conscious entities, i.e. the jīvāthmās. Achit – unconscious entities, i.e. the material of which the physical world is made of. Our Āchāryas have spend quite a bit of effort to analyze the relation between these entities, as this is the very basis for all practical applications of our philosophy. So Vishishtadvaitam is philosophically sound, absolutely consistent with both the testimony of the Veda and of mystics from within and outside our religion and is applicable in daily life. We are eternally indebted to the unbroken line of our Āchāryas who formulated, refined and preserved this treasure of knowledge and insight for more than thousand years. Many spiritual teachers and groups active around the world put a lot of emphasis on meditation. In many Buddhist traditions, meditation is even at the very core. The Hare Krishna movement requires its devotees to chant the Hare Krishna mantra 16 x 108 times each day as a meditation. In contrast, our tradition puts a lot of emphasis on the worship of deities, both at home and in the temple, and engaging in services in association with devotees. Deity worship is probably the most misunderstood practice of Santana Dharma (Hinduism). People from Judeo-Christian-Muslim religions reject this practice as idol worship. Atheistic intellectuals view our deities generally as images of human subconsciousness processes and structures. Both views are equally mistaken. The general notion of idol worship is that the idol worshipper is declaring some material object as God and worships it. If this would be the case, we would reject it too! In actuality, the best analogy of a deity in Santana Dharma is probably that of a portal. By simple logic we can see that God, the source of the totality of existence, must be at least as complex as the latter. No means, neither words nor images nor sculptures can describe God fully. Because of this, our Āchāryas argue, God makes himself available in specific ways to us, the deity being one of them. Each way appears to be a subset, giving us a specific aspect of God. Yet, as an arbitrary subset of a full infinity (like the realm of real numbers in Mathematics) is still infinite, God can be experienced fully through each specific way. The deities we worship are by no means arbitrary creations of the human mind, merely showing us our subconsciousness. Their geometry, ornaments, positions of arms, legs, their material and many other things are predefined in the revealed scriptures and relate in complex ways to the geometry and shape of temples they are installed in, as well as position and context of the whole divine place in the landscape. If a deity is installed with the proper mantras and rituals and worshipped in proper ways, it is akin to a vortex or portal, where the omnipresent God makes himself especially available to his devotees. 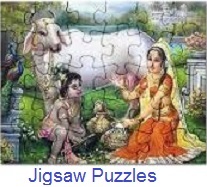 A more simple kind of deity worshipped at many Śrī Vaiṣṇavas homes are Salagrams. At the surface, these are fossils / fossilized stones found in a very specific region in Nepal. Esoterically, these are self manifested aniconic representations of God, as they naturally posses the symbols of God (conch, chakra etc). Because of this, Salagrams do not need an installation with mantras and rituals, they are worshipped as deities right away. Depending on their physical features, they are linked to a specific aspect of God. Our tradition emphasizes emphatically that the process of worship must not be a mere formal process, a ritual. Rather, it is a meditation in action where the worshipper recites and acts with absolute focus and dedication knowing that he is in direct contact with God. Another important practice is the learning and recitation of the divine literature of the Āḻvārs and hymns composed by our Āchāryas. Such literatures should be recited in the language the composition was made (Sanskrit or Tamil), having in mind the deep esoteric meanings of the literature. These meanings are taught in confidential lectures of the Āchāryas, whose attendance / study is yet another important aspect of our practice. Closely related to this is the service to and great reverence for our Āchāryas. Āchāryas are honored even more than one’s own parents, as the grace and knowledge channeled trough them is of immeasurable value to us. 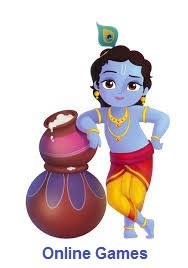 An activity which is inseparably linked to our worship of deities is the preparation of pure lacto vegetarian food which is offered to the deity in the process of worship. After offering, this food has become what is called Prasadam in Sanskrit, which literally means grace or mercy. 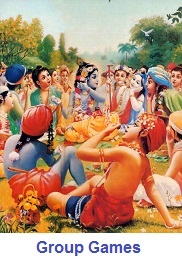 Śrī Vaiṣṇavas seek to consume only Prasadam. Traditionally, Śrī Vaiṣṇavas also keep orchards, where flowers to prepare garlands and other flower offerings are grown. The learning and recitiation of the aforementioned divine literature of the Āḻvārs, which is done in temples on a daily basis by groups of Śrī Vaiṣṇavas. Also, the hymns of the Āchāryas are learned and recited together. 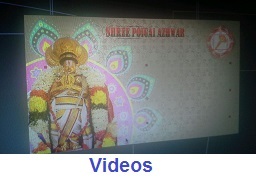 Performing physical services in the temple, in processions and the like. So we see that the path of Śrī Vaiṣṇavam is a very active one. It involves activities from growing flowers to learning confidential esoteric knowledge. All these activities are seen as complementing parts in the practice of a Śrī Vaiṣṇavam. Thus, Śrī Vaiṣṇavam is a holistic path that involves a gradual purification and God-centering of all aspects of the seeker’s life and activities. Based on the long history of our tradition, it is not surprising that there have been many different moods behind the activities in our tradition. 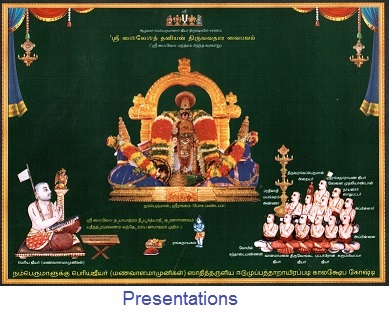 Here is some further reading on exalted personalities and their “anubhavam”, which means means “experience of” or “appearance” – http://ponnadi.blogspot.de/p/archavathara-anubhavam.html . This entry was posted in Beginner's guide, FAQ, No previous knowledge and tagged practice, sanga, worship on April 29, 2018 by Madhavan. The ŚrīVaiṣṇava Sampradaya (spiritual tradition) exists since time immemorial. The “recent” history of our tradition begins with the Āḻvārs (a Tamil term, which means somebody deeply immersed in God-Love). Āḻvārs started to appear roughly 5000 years ago. The Āḻvārs composed divine literature which contains the knowledge of the Veda, but in a more condensed and accessible form. However, this divine literature was nearly lost in the first centuries C.E.. Nāthamuni, the first of our early Āchāryas (teachers) heard a single verse from the Āḻvārs’ literature, pretty much all that was left at his time, and was so enchanted by it that he took a lot of hardship to regain the rest of this literature. Nāthamuni and the Āchāryas after him were teaching the divine literature of the Āḻvārs and highlights from the huge canon of Vedic literature side by side. The line of our early Āchāryas was crowned by the appearance of Rāmānuja in the 11thcentury CE, who holds a pivotal role in our tradition. Rāmānuja and his successors spread the tradition over the whole Indian subcontinent. However, a few centuries after Rāmānuja, in the early 14thcentury CE, Muslim invaders reached even the strongholds of our tradition in South India and occupied Śrīrangam, the main temple of our tradition. Numerous ŚrīVaiṣṇavas lost their life and the huge treasure of scriptures and commentary works were partly destroyed and partly scattered in attempts to rescue these invaluable works. In the 15thcentury, Muslims were driven out of Śrīrangam and our tradition had to recover from the destruction. The Āchārya Manavāḷa Māmunigaḷ holds a central role in this process, as he collected and personally copied texts from the tradition wherever he found them. Manavāḷa Māmunigaḷ’s behavior and practices are well documented and serve as ideal example for the conduct of a Śrī Vaiṣṇava to this very day. Manavāḷa Māmunigaḷ had eight disciples who successfully completed the return of our tradition to its old glories. Today, nearly every major town in India holds at least one Śrī Vaiṣṇava temple, their total number accounts to more than hundred. There are numerous Āchāryas initiating into the tradition all over India. Two temples, the Śrīrangam temple and the Thirumala Veṅkaṭēśvara temple are major pilgrimage sites which sometimes attract more than a million visitors in a single month. There are also ŚrīVaiṣṇava temples and many religious activities going on in the US and Australia. In Europe, the UK has a number of very active ŚrīVaiṣṇavas and hosted the first Śrī Yāgam ever conducted in Europe in 2017. A Śrī Yāgam is a sophisticated Vedic ritual dedicated to divine mother Lakṣmi (name giveing to our tradition, as Śrī is the short name for Lakṣmi). In Germany, a group of Śrī Vaiṣṇavas is active in the Munich area and conducts events on a regular basis. This entry was posted in Beginner's guide, FAQ, No previous knowledge and tagged parampara, parampari on April 29, 2018 by Madhavan.